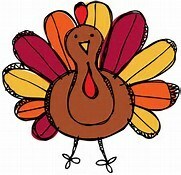 Thanksgiving Meals will be held during the regular lunch times on Nov. 13th & 14th. Cost for visitor lunches will be $3.50. More info. will be coming home soon. You will pay for your meal in the cafeteria and meet up with your child so that you may eat together. The price of the meal will be $3.50 for all visitors.